Welcome to a new year for creating and protecting places where neighborhood networks and community resilience can flourish! We prepared for it by holding space for residents to dream and scheme for access to vacant spaces (photos of our year-end workshop here) and by continuing to support local campaigns for community land access across the city, like the future Reckowacky Park and Community Garden, pictured above. Read about 11 of our successes in 2017 here. If you’re moved to support our work, please donate here. 596 Acres is excited to officially introduce its new leadership team! Mara Dawn Kravitz and Stephanie Alvarado are Directors of Advocacy and Partnerships, and Rachel Dobkin is Director of Development. The project’s founder, Paula Z. Segal, has joined the Equitable Neighborhoodspractice at the Community Development Project of the Urban Justice Center as Senior Staff Attorney. Read more here. Right now, we’re part of the 11th São Paulo Architectural Biennial (on display until January 28) and in an academic journal about collaboratively mapping alternative economies. Community land access is a strategy to engage the most impacted people in making the most just and resilient cities everywhere! Bedstuy, Brooklyn – Help Myrtle Village Green (on Myrtle and Kent) in the off-season by simply reviewing them on Google Maps! 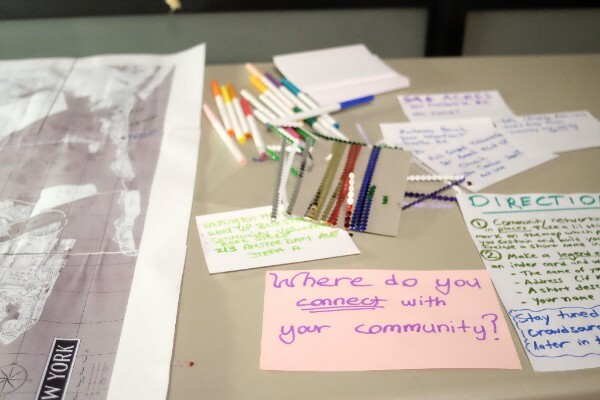 As they talk to the community and leadership about the future of this community space, it helps to have a positive online reputation. Reviews in your native languages are encouraged. Write yours here. Like the garden’s facebook page here. Bushwick, Brooklyn – While awaiting the Brooklyn Supreme Court judge’s decision about the illegal sale of the nonprofit land where Eldert Street Community Gardeners grow (between Knickerbocker and Irving), the developers who bought the dubious deed sneakily filed a separate suit in landlord-tenant Civil Court, despite the pending Supreme Court case questioning their right to call themselves landlords! Without showing up, this could lead to eviction by default, so we had to go to court again last month (photos and a courtroom sketch here). Still no big answer, but small procedural wins happened: the judge granted a temporary restraining order (TRO) to protect from eviction, joined the two cases to be determined in Supreme Court together, and a few days later, decided the case can be determined by summary judgement, meaning that the laws on the matter are clear enough to determine whether the sale was legal, rather than needing to go to trial (we agree!). Back to waiting for an answer. Sign up to Organize here for the latest. 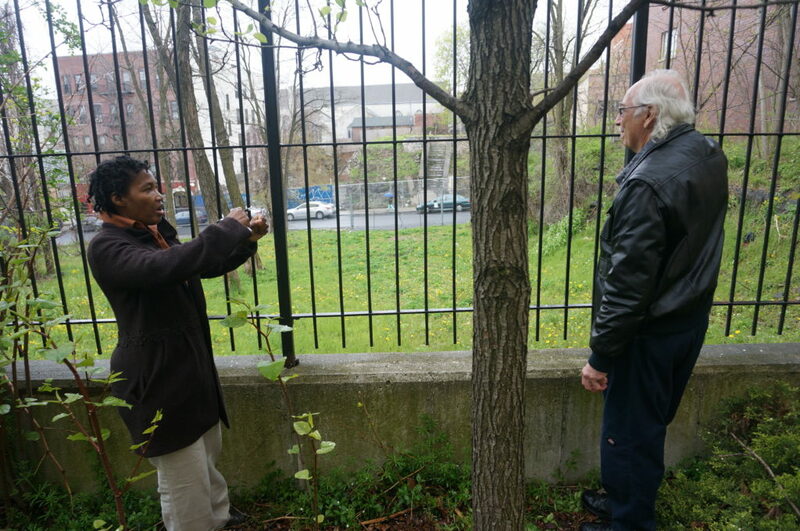 Connect with Eldert Street Garden community by joining their facebook group here. Policy Win: Housing Not Warehousing! In the last 2017 law passing session, Intros 1036 and 1039 of the Housing Not Warehousing Act passed in City Council, with veto-proof majority! Read about it here. Big congrats and gratitude to homeless-led Picture the Homeless for leading us in championing this legislation. We look forward to supporting NYers as more and more vacants become visible opportunities for people to make the vital places we need and crave. Flatbush, Brooklyn! 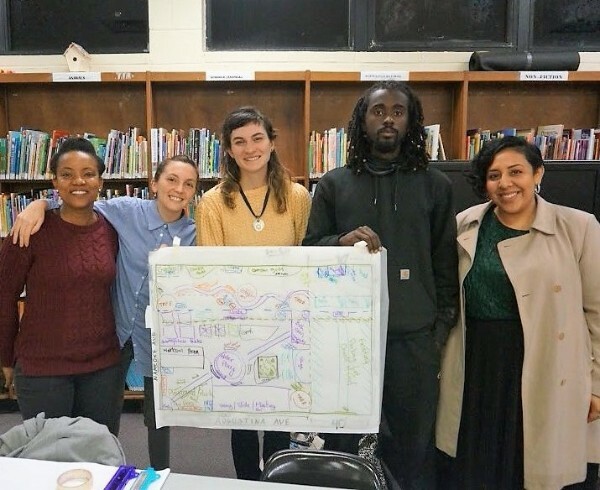 Next Thursday, January 11 from 6:30pm to 8:30pm at BKLYN Commons (495 Flatbush Avenue) join your neighbors and Design for Agency for the second collaborative problem solving workshop, focusing on developing ideas for improving the problem of neglected and littered tree pits in Flatbush. More information and RSVP here. Save the date! GreenThumb’s 34th Annual GrowTogether Conference is on Saturday, March 31 from 8:30am to 4pm at a new location: Borough of Manhattan Community College, 119 Chambers Street. The theme is “Honoring Our Roots!” Event information and tickets here. Attention Ingersoll NYCHA Houses residents! 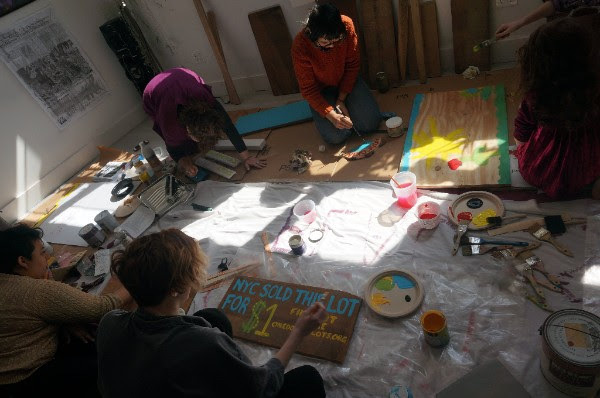 The Intergenerational Community Arts Council (ICAC) is seeking an artist in residence with connection to the community to work with residents to create a public, arts-based experience or project for Summer 2018, based at Ingersoll’s community center in Fort Greene/Downtown Brooklyn. Deadline to apply is Monday, January 15. More information and how to apply here. Jobs are available at NYC Housing Preservation and Development’s Office of Neighborhood Strategies: a Director of Neighborhood Planning and a Neighborhood Planner. POC and other under-represented planners are strongly encouraged to apply. Postings are live until February 12. 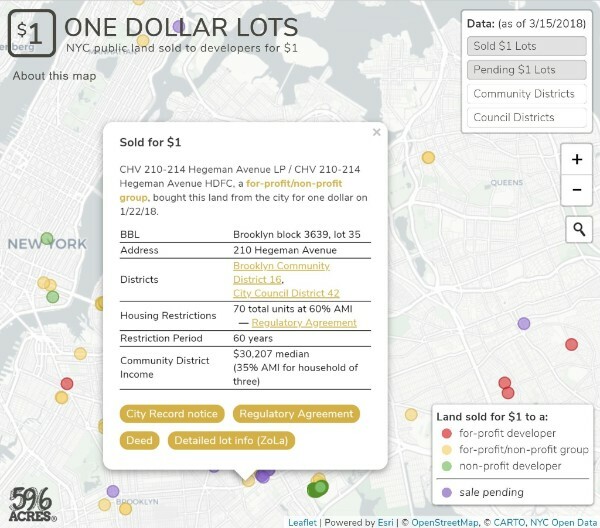 The NYC Mayor’s Office of Environmental Remediation awards grants of $25,000 to community-based organizations for planning the development of vacant or underutilized sites! The grant can cover any pre-development costs including creating a concept plan, preliminary design, a market analysis, a zoning analysis, or a pro-forma financial analysis as well as producing area and property studies, including a study of existing conditions, a vacancy analysis, or a community reuse plan. More eligibility information here and here is a list of past projects funded. To get an application and apply, contact Mark McIntyre at (212) 788-3015 or mmcintyre@cityhall.nyc.gov. Information sessions about Citizens Committee of NYC’s Neighborhood Grants are next Tuesday, January 9 through Thursday, January 11 at locations in all five boroughs, plus a Spanish webinar online! Find out about the one near you here. This grant provides up to $3,000 for resident-led groups working on community and school projects. Deadline to apply is Monday, January 22. More information and application instructions here. Citizens Committee has an Equipment Loan Library for neighborhood improvement projects! It has stuff like digital cameras, video projectors, projection screens, tents, amplifiers and more, which you can sign out for up to seven days. More information and reserve your equipment loan here.